Welcome back! 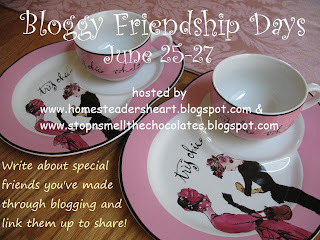 Hope you're enjoying Bloggy Friendship Days so far! Today is the day you can link up your friendship posts! In the past couple of days I've mentioned some of my special bloggy friends and Kim's mentioned her bloggy friends. I showed you the chocolate battle between me and Kim while she showed you videos of us! But today is actually our Friendiversary!! It was exactly one year ago that Kim and I commented on each other's blogs and that was the beginning of a beautiful friendship! We've been back and forth on each other's blogs ever since. Kim comments on my blog as The Real Me, so you might take a look at her daily comments and get a chuckle. We are each other's Top Commentators (it means we're the people who have commented the most times) and we are in friendly competition with our blog growth. We have talked on our blogs, through e-mail, on facebook, and even on the phone. Through it all we make each other laugh! But we pray for each other too when times are tough. A friendship like that is such a blessing! One of these days we will actually meet and there will be so much laughter and chocolate-eating going on, you won't believe it! Now please understand that we are not trying to exclude our friends who have been with us long before and during blogging - we do love you all!! Since Kim and I realized that it was possible to have a"real" friendship even though we only "met" through blogging, we wanted to celebrate and give bloggers an opportunity to celebrate the fact that bloggy friendships are real friendships. True friends are a blessing no matter where you find them! Hmmm...I think Kim's here with a video! 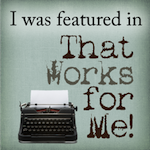 If you're reading by e-mail or in a reader and the video doesn't show for you, then you just need to pop on by my blog! Now Kim worked hard and had all sorts of technical problems with her video - she spent a lot of her time just to get it to me, so please leave her some nice comment love today! Now link up your friendship posts below! 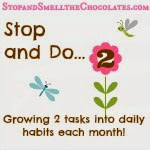 But WAIT - you also need to link up your posts at Homesteader's Heart! Then you get twice the linkage! Thanks for joining our Bloggy Friendship Days and stop back by over the weekend to read everybody's posts. That chic is some kind of goofy. How could you ever be friends with someone like that? LOL. Ugh! I should have started that in the morning and maybe I wouldn't have looked so tired! Hee! Hee! Mental Note: Next time wear make up and brush your hair! IF there is a next time. I hope people go back and forth to our blogs to get the full effect today. This was so fun and you are so wonderful my friend. I'm so glad that we have become such great friends! Big here's to another year and a bunch more laughs and a whole lot more chocolate size hugs! Cute video. Now I'm going back over to her blog to comment. :) Happy Friendaversary to you two. Love the videos you made for each other. 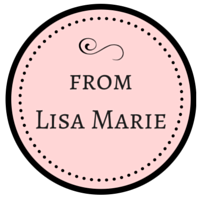 Hi, Lisa...I'm Jennifer and this is my first time by your blog via Kim's blog. I'll be back to visit again later. I love this video that Kim made for you! She is so funny! I can't wait to meet her IRL the end of July. Happy Friendiversary to you and Kim! Thanks, Lisa for hosting this special occasion for friends! You all are too cute. 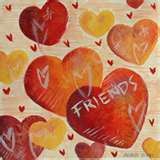 I love the idea of celebrating your friendship!